It finally hit me when, of all things, I reached the last piece of the three-pack Trident cinnamon gum I brought from home and my state of denial was shattered… I’ve been in Turkey for over a month. How did the time pass so quickly? 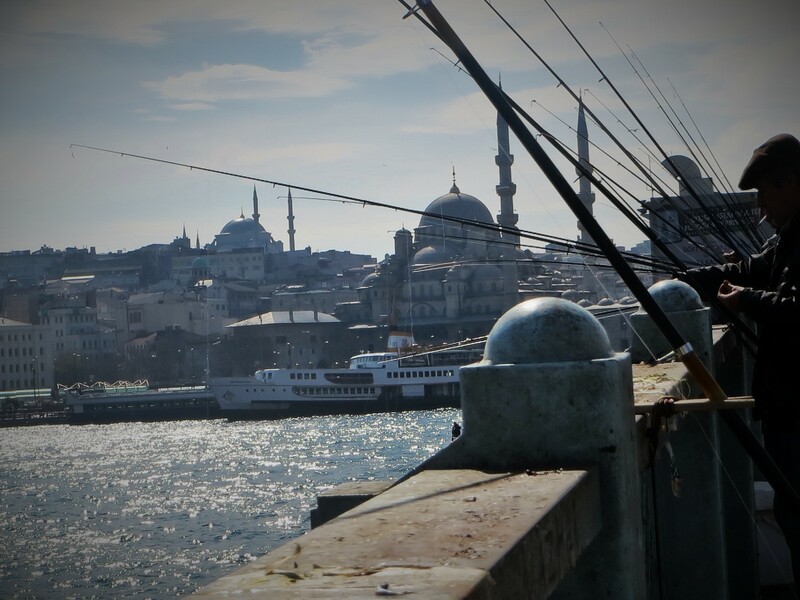 Six weeks ago, my plane touched down in a cold, foggy Istanbul, and the following days were a continuous experience of déjà vu, a strange feeling of familiarity in an unfamiliar place, despite the fact that I had once called Istanbul home. Not much had changed, yet everything had changed. I was caught off guard by the small things, things I had become so accustomed to during my past trip that I stopped noticing them. The rediscovery of these things caused countless memories to come flooding back, like the giant close-up of Jessica Simpson’s face plastered on the building across from my favorite restaurant. Or one of the many campus dogs that had politely walked me home at night, the funny-looking one with a body and head the size of a Labrador, but stumpy little sausage legs. And the old man selling fruit in the little grocery store near campus, who always smiles and answers “şöyle böyle” (“so-so”) when I ask him how he’s doing. Jessica Simpson, the sausage dog, and the fruit guy were not the highlights of my last trip, but seeing them again brought me back to a past life, different than the one I went back to in Texas and different from the one I am living now. 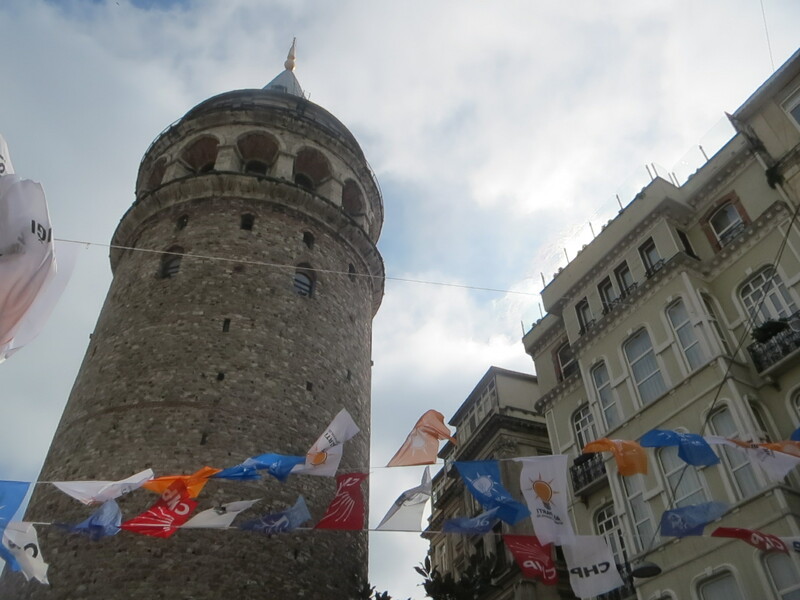 My first week in Istanbul was completely perfect. I was reunited with many of my Turkish friends from last semester, eating all the delicious Turkish foods I had missed last year, dove back into another semester of interesting classes at Bogazici, and had new fun experiences with new fun friends. Then the reality/panic that I had only a few months left to complete my thesis sunk in, and I retreated into hermit mode in my apartment. I have since found somewhat of a balance between having a social life and “thesis-ing”, but in general it’s just been very hard to concentrate on writing. I am doing my best to finish before the weather gets nice next month and staying indoors with my computer becomes even more tortuous than it already is. In addition to my thesis, I am working on an independent study with one of my professors at Baylor, in which I analyze the language use of the vendors in the Grand Bazaar. They all speak multiple language and can guess the native language of potential customers passing by with surprising accuracy. I will probably write a whole post about this soon because it is fascinating and very entertaining (the vendors can get extremely creative with their comments to passing shoppers). “Excuse me, miss, you dropped something…” I turned around in case he was actually telling the truth. The vendor smiled, winked, and said, “It’s my heart, can you give it back?” Sneaky, sneaky. One other really significant thing has happened while I’ve been here—other than the fact that I went to a DJ set by Elijah Wood (more commonly known as Frodo) a few weeks ago, and that is my upcoming trip to Sweden. A joke from a professor in class about recording languages in the jungle sparked a conversation with a classmate, which in turn sparked my interest and registration for the 2014 Summer School in Language Documentation and Linguistic Diversity in Stockholm for two weeks this June. I had never planned on going to expensive Scandinavia before being a real adult with real money, but this summer school focuses on exactly what I want to do in my life and was an opportunity I just couldn’t pass up. Now for the elephant in the room (or the elephant in the country, I suppose). You may have heard about all the crazy things going on in Turkey right now. This whole political unrest thing has been new to me, since the Gezi Park protests of 2013 began seven or eight months after I returned to the US. But a few weeks ago, Berkin Elvan, an innocent teenage boy who was not involved in protests but had been a victim of police brutality and spent most of the year in a coma, died in the hospital, provoking major demonstrations against the government. Coming from a country where political activism means sharing a link on Facebook or getting in a heated virtual debate in the comments of someone’s post, I initially felt very on edge seeing large crowds of people marching and yelling in the streets. I’ve come around however, and agree that action must be taken since the government has overstepped its boundaries and begun blocking social media sites (as of now, both Twitter and YouTube are blocked in Turkey). I urge everyone back home to follow Turkey in the news. The biggest realization I have had within the past few weeks is that we cannot solve all our problems on the Internet, and that if our basic human rights are ever infringed upon, complaining about the problem via social media is not going to change anything. Especially if the government has blocked said social media. I am not a political activist. I hate confrontation to the point that if someone is blocking an aisle in the grocery store, I will go to the next aisle and walk all the way around rather than asking them to move. However, the events of this month have forced me to examine myself and brought me closer to the obvious but easier-said-than-done conclusion that if something is wrong, I should DO something about it. Local elections will take place tomorrow and will be the climax of the action of the past few weeks since they will determine which political party holds power. Someone isn’t going to be happy with the results, and we’ll see what exactly that means within the next few days… Keep Turkey in your thoughts, please, because things are once again about to get interesting over here.